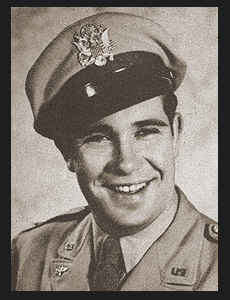 1st Lt. Walter L. Mahaney, son of Mr. and Mrs. Lynn Mahaney, graduated from Frederick High School. Entered Air Corps in March, 1943, trianed in San Antonio, Bonham and Sherman, Texas, Frederick, Okla., Scotland, England and France. Awarded Air Medal with four OakLeaf Clusters, ETO Ribbon wih four Battle Stars.